If you're in B2B sales or business development, LinkedIn can and should be the start of all of your prospecting and qualifying. 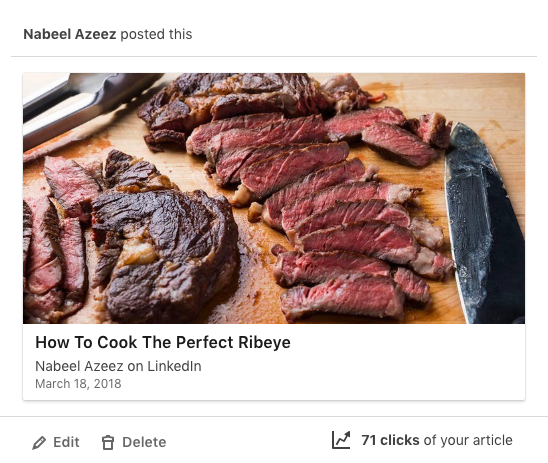 In this blog post, I'm going to show you how to use your LinkedIn profile and the content you post so you get more profile views, connection requests, and direct messages. But first, why LinkedIn? LinkedIn has over 500 million users. More than 70% are outside the U.S. If I use LinkedIn's search function, set it to search for "people," and set the location filter to "United Arab Emirates," I get 2,709,228 results across my 1st, 2nd, and 3rd level connections. The total number of LinkedIn accounts in the UAE is a little over 3 million. 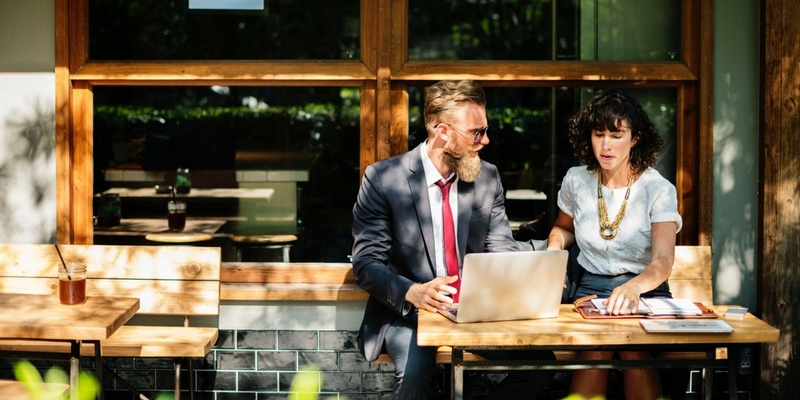 But LinkedIn hands you every tool you need to find, connect with, and start a conversation with your ideal buyers. You can search by job title, company, and industry. It's perfect for Account Based Marketing. That's Outbound/cold outreach. 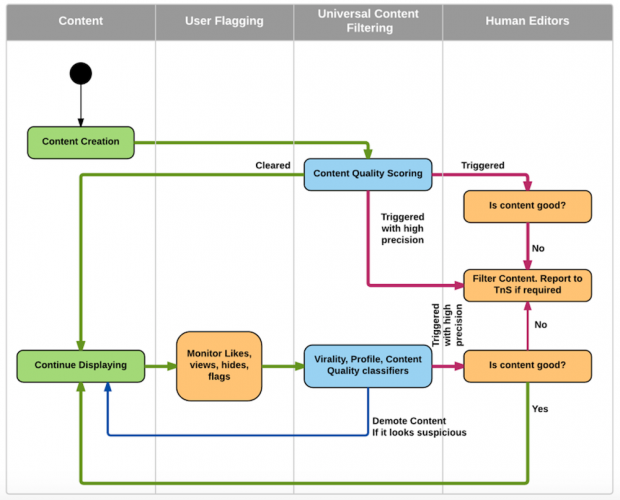 What about Inbound? LinkedIn is not a place where you just copy your resume into your profile and hope recruiters contact you. It used to be, but not anymore. Now, it's a full-fledged social network, with almost all of the features and functions you're used to on other platforms. This means, you can get your ideal buyers' attention by just being active on the platform and engaging in the right way. 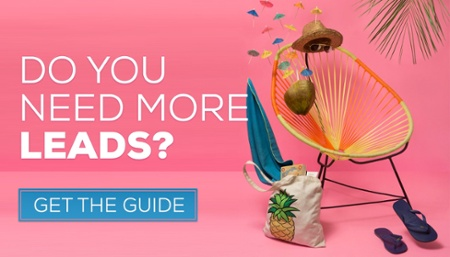 AIDA is the marketers go-to formula for direct response messaging. It's as old as advertising itself...so, at least 150 years. And it always works. What's more, you can adapt it to almost any marketing situation. That's the good thing about knowing your marketing fundamentals. The technology and channels change, but human behavior never will. 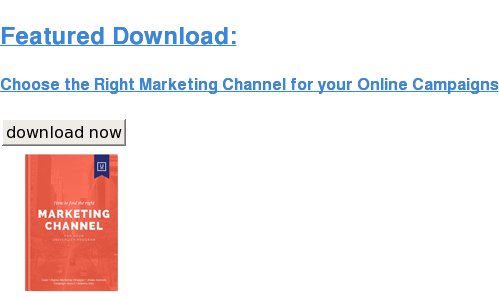 This means you can and should adapt AIDA to your sales pipeline, if you haven't already. More likely than not, you've been using it unconsciously your entire sales career. So, what does AIDA look like when you apply it to LinkedIn? The easiest way is to post regular updates on your profile. And not just any updates. They need to be tailored to your perfect buyers. To do this, you need to know who your perfect buyers are. Once you figure that out, creating content becomes very simple, and you'll never run out of ideas. The content you post needs to be engaging enough for people to like and comment. By default, your update will be shown to some people in your network. The more likes and comments you get, the more people will see your post. This is because when someone in your network likes or comments on your post, it gets shown to people in their network. Basically, you want your LinkedIn updates to follow AIDA too. The next way to get your prospect's attention, is to comment on other people's updates. The third way, and really it's just a variation of the first, is to publish articles on LinkedIn using their integrated blogging feature. Once you've done this for a while, your profile views will level out. 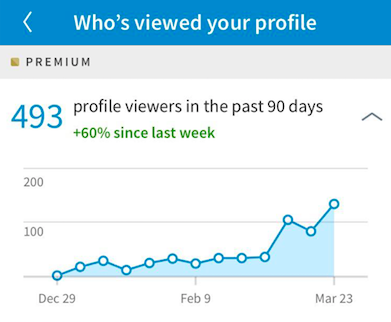 But you should still aim to have week-on-week increases in profile views, even if small. 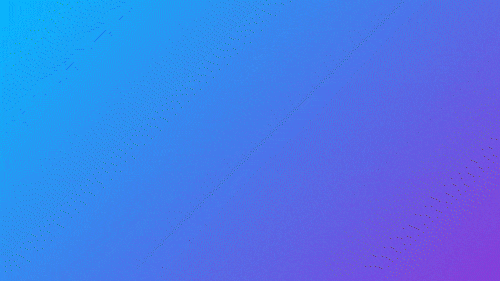 And if they hover their mouse pointer over your profile picture, they'll see your entire headline, how many shared connections they have with you, and a button to connect with them, or, if you're already connected, a button to message them. Is the most important part of this process. If you want to sell via your profile, you need to make it about your perfect buyer, not about you. 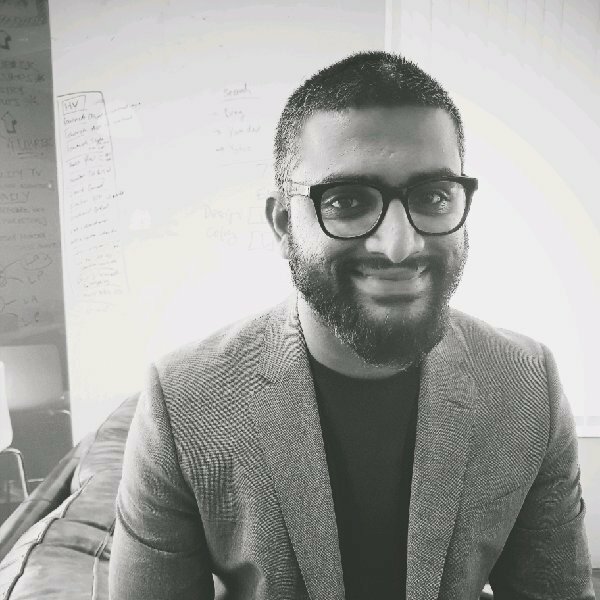 "Dubai's most expensive copywriter" is a good tagline, and it does get some people interested in me. But really, it's a vanity tagline that's only good for branding. Is my LinkedIn headline speaking to my perfect buyers? Is it telling them how I can help them? How their lives would be better if they worked with me? So, how would you reframe my headline for social selling? "I help B2B business owners attract perfect buyers with Inbound Marketing | Talk to me if you want marketing that SELLS"
That's 118 characters of good short-form sales copy. AND another example of AIDA (once you see it, you can't unsee it.) You're telling the reader who you are, what you do, how it can help them, and what they need to do to next. "I help [buyer persona] get [specific benefit] using [core offer]. Talk to me if you want [core benefit]." You'll have to tweak it a little to make it fit in 120 characters, but I'm confident you can come up with something that works for you. First impressions matter, and it's a fact of life people make snap-decisions based on appearance. You can either work with human nature, or against it. Sometimes they won't send you a connection request. That's OK.
You can see that they've viewed your profile in your notifications (unless they've turned that feature off.) 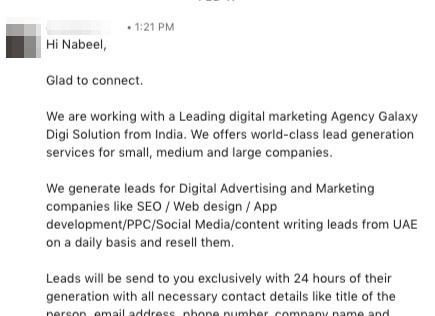 Take a look at their profile and if they're a qualified prospect, send them a connection request yourself. If the headline and profile picture aren't enough to get a connection request out of them, at least it will get them interested to read the rest of your profile. This is where your Linkedin Summary comes in. You'll use it to create desire in your prospect for what you're selling. The summary is where you can go into a little more detail on who you are, what you do, and how your clients benefit from you. 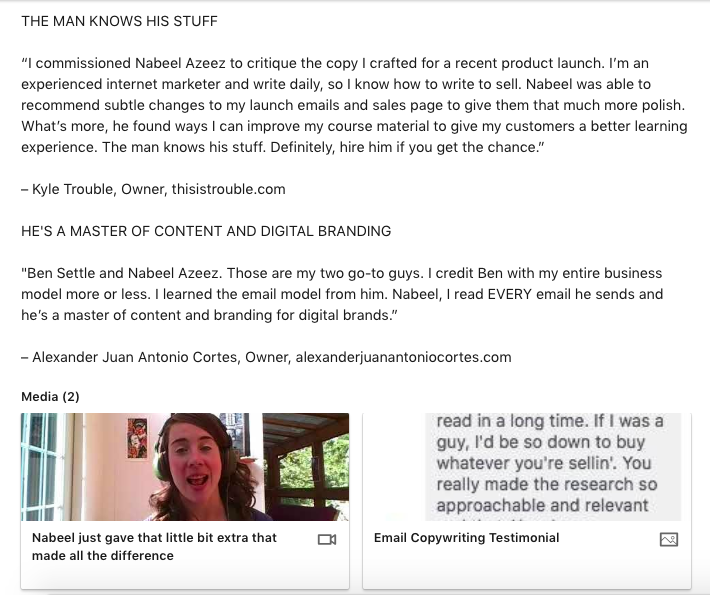 OR, you can use one of these 5 LinkedIn summary templates for sales reps.
LinkedIn allows you to add media as work samples. 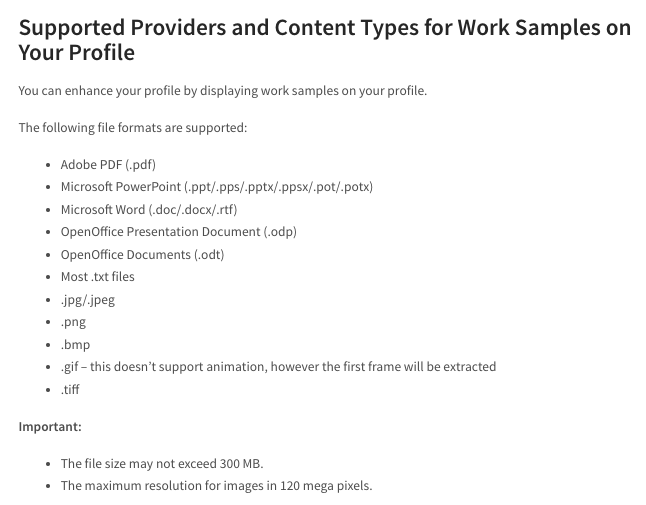 According to LinkedIn, you can upload most document and image file formats, but not video files. If you want to include video as a work sample, first upload the video to Youtube and publish it as "public" or "unlisted." Then, edit your profile, paste the link to your Youtube video in the media section, and save your edits. I checked to see if there's a maximum number you're allowed upload but I couldn't find one. So, it looks like you can add as many media pieces as you like. 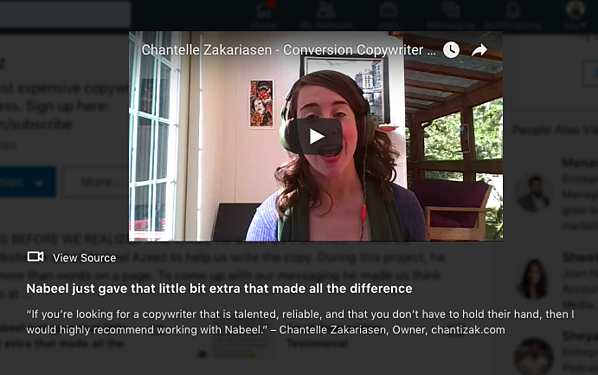 I like video testimonials. If you don't have any, reach out to your past clients and customers and ask them if they'd be willing to record a short video testimonial for you on Loom. Loom is a free screen and video recording software that lets you record straight from your internet browser. And the best part about it is you can download the video and upload it to your Youtube channel. At this point, if your prospect has seen all good stuff from you and STILL hasn't sent you a connection request...they're probably a weirdo and not a good fit for you. More likely than not, though, you'll connect. And that's when the real fun begins. 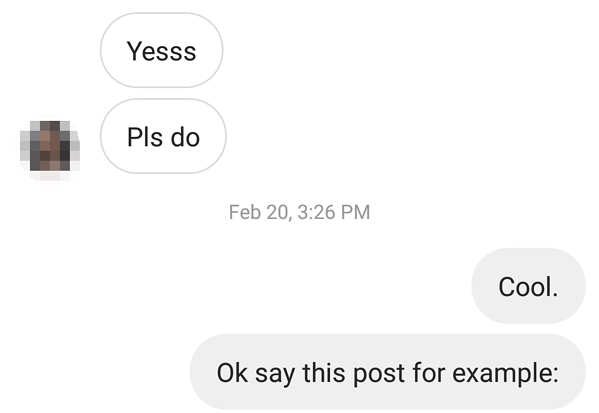 Once you've connected with your prospect, you should send them a direct message. Now, pay attention. Because this is important. 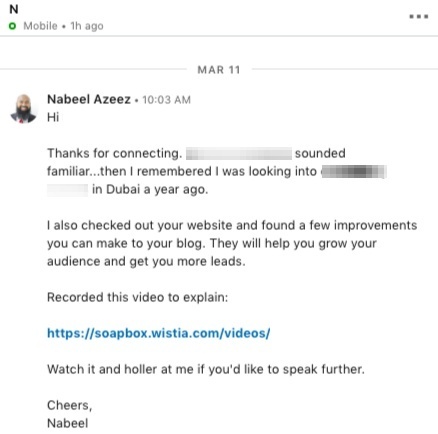 It's personalized - the prospect sees I've put in the effort to learn about them and their business, and not just sent them a boilerplate cold DM. I sound like an actual human - no corporate speak or jargon...don't forget you're speaking to another person on the other end. Keep it relaxed and informal. Now, let's look at examples of bad direct messages. Obviously, their prospect is corporations with IT departments. Had they taken 30 seconds to actually look at my profile, they'd have realized we're a small business with a handful of employees. And that, most likely, we don't need hardware systems or tech support. This was a long sales pitch on the very first message, so it was a turn off. If they tried to have a normal conversation first, they'll get better results. Because the connection and pitch were clearly targeted and the offer was decent. They won't all turn out like this, obviously. And if you're in sales, you know it's a numbers game. But hey, it beats the hell out of driving around in Dubai traffic all day going to random meetings, or spending hours and hours on the phone cold calling. Now, when you get on the phone, you know they're a qualified lead. And when you head out to a meeting, it's only because there's a good chance you'll make the sale. And it's all because you spent a few hours a week on social media, with purpose. I'll summarize the strategy for you again. You're going to use AIDA (Attention, Interest, Desire, Action) with your Linkedin profile to get your perfect buyers to come to you, rather than you going to them. This method of selling is called Inbound Sales. 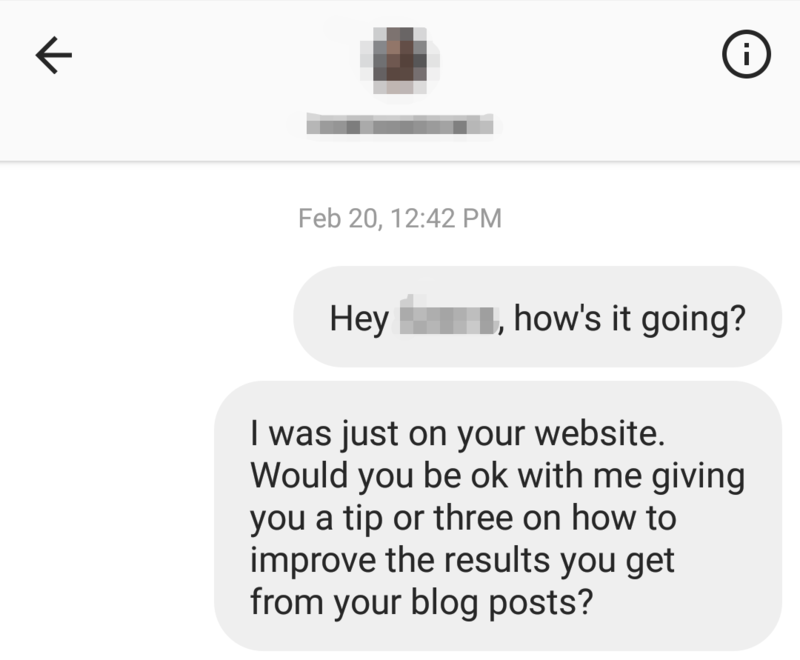 If you did, leave a comment below telling me your biggest takeaway, and how you're going to use it to start selling on social media.